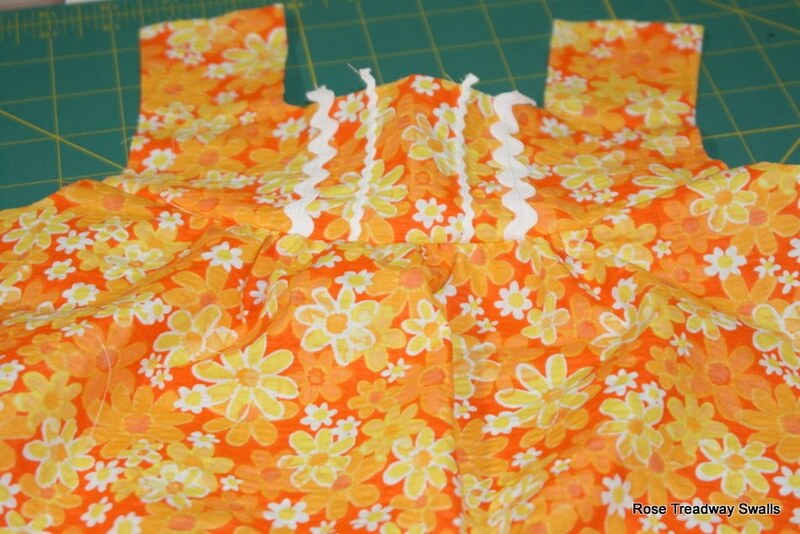 I always loved the line from Closing Time that says Every new beginning is some other beginning's end....well, today I finished the binding on my little 4-patch quilt....and I started a new little dress for Lorelei. I have had the material a while...with her love of pink I was almost afraid to make it. But, when she runs out of pink dresses, she is fine with other colors. So long as it is a dress. We met Sarah Friday and got Lorelei again...she spent the night, then her mommy and daddy came down Saturday evening and spent the night. They had plans to meet others on Sunday. So Lorelei was fine with leaving then. Not sure how she would have been otherwise. She always tells me she wants to stay and stay and stay a long, long, looong time. I tell you there are no sweeter words than Mamaw, I want you to sit with me...or I want to come to your house...or I love you with all my heart. I cannot help but wonder how much longer she will want to sit with me. So I try to just cherish the time she is here. I don't blog, or do much other than get my email when she is here. The quilt looks impressive to me. I like all the colors and style of the pattern. Lorelei's reaction to the dress will make a good post. Don't blame you for spending every minute possible with that adorable child! Love the quilt and the dress. Both are beautiful. You are very talented. 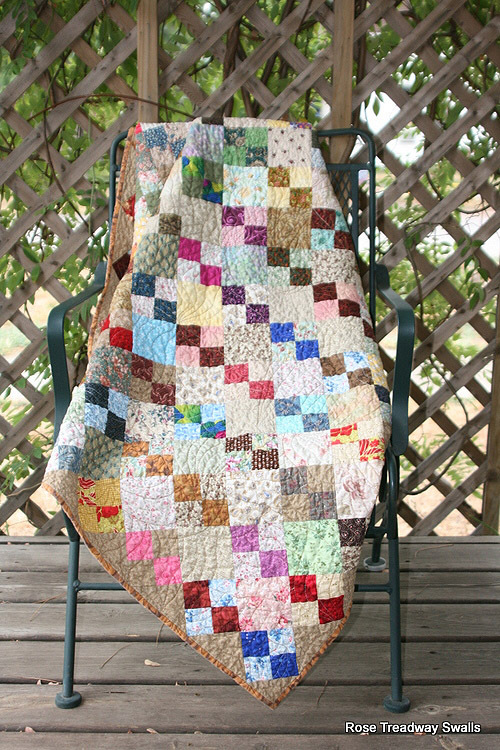 The quilt turned out beautiful, and I love the dress, she's going to look so cute in it. I love your quilt and Lorelei will look lovely in her new dress. I agree - those are priceless words coming from a grandchild! The quilt is beautiful. And the material for Lorelei's dress is adorable. I don't blame you for letting go of the blogging for your granddaughter. They are so precious and the time with them is so precious. We must make the most of it! Yes, before you know it Lorelei will be on to other things but I bet she will always hold you in a special place in her heart.